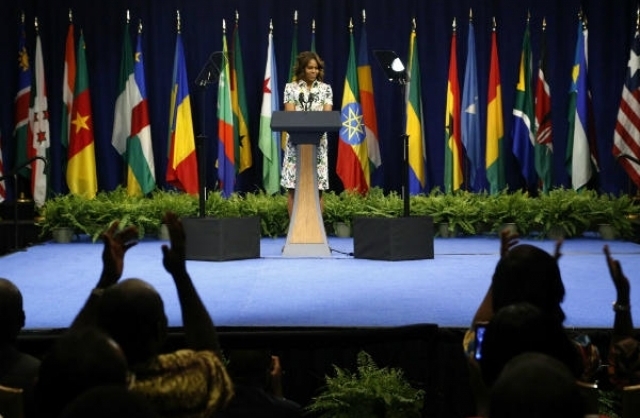 New York (TADIAS) – This year President Obama’s Young African Leaders Initiative (YALI) launched the first annual Mandela Washington Fellowship, which included 13 young professionals from Ethiopia. Closing events for the fellows coincided with the historic U.S.-Africa Summit held in Washington D.C. There was more uplifting news as Ethiopia nominated Dr. Catherine Hamlin for the Nobel Peace Prize. And it was a pleasure to root for Genzebe Dibaba who shattered multiple world records in 2014. The 23-year-old running star, who has yet to reach the pinnacle of her career, went on to earn a nomination for the prestigious annual IAAF Athlete of the Year award, getting a well-deserved seat as one of the finalists at the World Athletics Gala held in Monaco on November 21st, 2014. The award-winning film Difret also sparked a great deal of praise in our community, not to mention the ads directed by David Mesfin, in collaboration with Wondwossen Dikran and Ezra Wube, for the 2014 FIFA World Cup multi-platform commercials for Hyundai car company. This year also brought a significant share of difficult news, from the arrest of the Zone Nine blogging collective to the violence against student protestors in the Oromia region, as well as the recent hard-hitting television documentary by Dan Rather exposing “The Shameful Side of International Adoption,” which focuses on adopted Ethiopian children in the United States who have been “re-homed, and moved to new adoptive families with little oversight and assistance.” And certainly a review of the past twelve months would not be complete without mentioning the deployment of 187 Ethiopian medical professionals to Ebola-hit West African countries. Indeed 2014 was also a year where social media outlets like Facebook and Twitter played a key role in bringing global attention to the maddening and heartbreaking case of a 16-year-old girl in Ethiopia who died after being kidnapped and raped by a gang of five men in Addis Ababa a few weeks back: The Yellow Movement at Addis Ababa University Update on Abduction of Hanna Lalango. The most viewed photograph of the year on our website was our highlight of Facebook founder Mark Zuckerberg’s fun dining experience at an Ethiopian restaurant in Bay Area, California this past summer: Cool Moment – Zuckerberg Enjoys Ethiopian Food at Walia Restaurant in San Jose. We wish all of you the best in the new year! And we look forward to covering more stories in 2015.